• Hanged Man Card • Death Card • Temperance Card in Tarot..
• Moon Card in Tarot • Sun Card in Tarot • Judgement Card in Tarot..
Tarot cards are the picturesque depiction of mythological figures and symbols on shapely pieces of sheet. Each card carries a fascinating interpretation of various facets of Universal forces. Whats more! These cards are more than just pictorial art. They have been used for amusement, in-depth spiritual experience and divination since centuries. Origin of Tarot is somewhat obscure, the most common theories leads to the symbol rich culture of ancient Egypt and Thoth, with the connection to the ancient mystery school teachings. There is a common myth that Tarot was brought to Europe by Gypsies. Some believe that a form of Tarot goes back to ancient China. Although the history of tarots is very fragmented, the first documented tarots in their modern form appeared in Italy in 1440, when the nobleman Filipo Maria Visconti gifted specially made cards as a wedding gift to his daughter. Apparently, Visconti`s interest in Greek mythology resulted in the origin of an interesting journey. His daughter continued the fashion among the noble community. The cards were commonly known as "Trionfi" cards then, and were used as playing decks amongst the people of higher strata. Tarot cards utilized symbols and figures of Greek gods to convey Greek mythology, philosophy, spirituality and mystique. These were modified and hand painted by Italian painters, which ultimately became the famous "Visconti Trumps." Although Tarots (or Trionfi) cards became a rage amongst the nobles, they were solely used for entertainment purpose. Christianity began to oppose the practice as the possibility of pagan interference and inclusion of cards such as the devil card. Inspite of the decline in practice, the tarot cards had already put an unstoppable fire to human imagination and mystical insight. Hence the game continued…. Tarot as we know it today became a collection of images and symbols from a wide variety of cultures, from the ancient Greeks and Romans to the prehistoric Norse peoples, from the ancient religions of India and Egypt to the medieval courts of Italy and France. It was only in 1781 during rebirth of Tarot cards that Antoine Court de Geblin conceived a game of divination. The idea started gaining momentum, and by the end of 1799, a relation between tarots and kabala was also established. 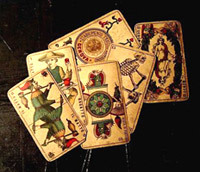 The inevitable connection between astrology and tarot is recognized by the astrological symbols and elements incorporated in the designs of Tarot cards. While many truly believe Tarots to mystically provide divine messages or cosmic insights in the matter, few people see them as a mere help in dealing with Human psychology. The meaningful patterns are thought to provide a different insight and flash of inspiration to solve a problem. No wonder, many consider Tarot reading to be a deep spiritual experience. It is also considered that divination through cards involve stimulating intuition to provide answers that lie in the subconscious. The answers can be regarding one`s self, or the events in life. 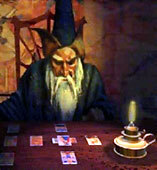 Irrespective of the logic behind the divination card reading, the fanciful story telling through these cards can be manifested in as many use as possible. The fact that the Archetypal images that cross linguistic, cultural, geographical and temporal barriers is the basis of the amazingly widespread popularity of Tarot cards. These cards convey the mystical insight through the human and universal characteristics imprinted on it. The total number of cards being 78. Out of it, the trump suit for Major Arcana consists of 22 cards. Arcana is the word lent from Latin - "Arcane" meaning closed or secret universal force. Major Arcana cards depict insight about action, behaviour or events through its powerful symbolism. They represent the state of being in terms of mental, emotional or spiritual condition at the time of reading. These Arcana cards are numbered from 1 to 21. The only unnumbered (or zero numbered) card is `The fool`. The major Arcana cards are the epitome of powerful symbolism and imagination. The Lesser Arcana cards consist of 56 cards broken down into 4 different suits. The Wands, The Cups, The Swords and The Pentacles. Each of these suits consists of cards numbered from Ace (number 1) to 10, followed by four court cards. These cards hold lesser vibrations than those of the Major Arcana. This suit manifests the energy of fire. Creativity, ideas or plan is the core basis while understanding the meaning of these cards. When we see wands in a reading, they point to ideas, ambition and growth. So when this is understood, we apply the number of the card to this understanding in a reading. The realm of mental - this is the next step towards manifesting the idea. Emotional involvement is a must to carry on a task. This manifestation of the energy of Water is the link to the next step in the order of things. When we see the Cups in a reading, they point to desires and feelings, that inner experience that only we are aware of and may not be shown outwards. Swords are indicative of the energy of Air. The involvement of intellect in the reading is shown clearly. Often times the swords indicate struggles, as it is difficult to bring an idea into reality. When we see the suit of swords in a reading, they point to action and struggle before the final outcome. Realm of the physical or material, element of earth represents the actual outcome of the matter. Pentacles denote the manifestation of earthy energy of our physical self and materialistic aspects. It is true manifestation into the material plane, the product of ones labors. When we see the suit of pentacles in a reading, they point to realization and manifestation. Hundreds of tarot decks are available today. The range is from the classics to the modern ones. The "Rider Waite" pack is the most common one. Some decks may have very serious tone; some may have a dream like quality, while some consist of cartoon images. Essentially, all the deck has the same core meaning or `soul`. They all are symbolic of encoded mysteries of universe. Some decks vary from the standard cards number of 78. The deck can vary from the myth-to-myth, psychological information and the aspects of life regarding which one wants to enquire. Spreads are the frameworks in which the cards are arranged and are read out as insightful whole. The choice of single card spread for gaining quick answers to the question, or using Celtic cross spread to gain more details about the specific situation is collaborated by the tarot reader and the querent. Mandala spread is usually taken into account for spiritual readings. Last but not the least, a tarot reading to a large extent depends upon the assessment of the Tarot reader. The interpretations may vary from reader to reader. And each point of view is more or less correct. 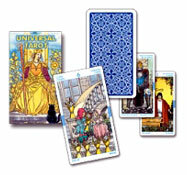 Tarot reading first requires reader to get in touch with one`s intuitive self, and the energies of the card. Afterall, the technical, inspirational and artistic feat of Tarot reading is nothing short of uncovering the deep mysteries of universe! !